AVIXA has released its newest standard—Rack Building for Audiovisual Systems (F502.01:2018)—which details the requirements for integrating AV systems into racks by providing a process for consistent assembly, mounting, and cable management. "An improperly assembled AV rack leads to negative consequences for the system's performance, and the end users are the ones that suffer," said Ann Brigida, CTS, AVIXA's senior director of standards. "This standard provides well-vetted guidance from experts around the globe that will improve the quality and consistency of AV system racks. We've included several illustrations and diagrams within the published standard to make it easier for people to implement into their projects. As with all standards, it is designed to ultimately elevate the end user's experience." This standard covers the fundamental elements of building a reliable AV equipment rack including: assembly of AV equipment racks, associated options, and accessories in single and multi-rack installations; mounting and affixing of rack-mount and non-rack-mount AV equipment; cable management, including planning, lacing, location, and separation of signal and power cables for cable management entering and within racks; and final cleaning, labeling, and finishing of the AV rack build. Planning for the use of this standard should begin during the project design phase and be implemented in conjunction with a fully-developed project documentation package. This standard does not cover design elements; therefore, the AV system design should be documented prior to beginning the rack building. "This rack building standard was one of the top-requested standards by the AVIXA community," said Timothy Troast, vice president of product management, Middle Atlantic Products. "Developing this standard began at ISE 2016 with a group of AV experts from around the world. Since then, through numerous events, surveys, and phone calls, we've built a standard that is collective of the AV community's experience. The feedback from industry participants was so positive that an AV rack design standard is already well underway." Troast was the group moderator; other members include John Bailey, CTS-D, CTS-I, Whitlock; Jason Brameld, Torpedo Factory Group; Jay Franetovich, CTS, Middle Atlantic Products; Nick Pidgeon, CTS, Visualization Limited; Jason Rouzaire, CTS-D, CTS-I, Ideal Systems Asia Pacific; and David Samura, International Criminal Courts. 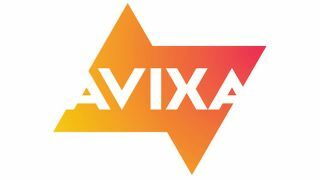 AVIXA's forthcoming standard AV Rack Design will outline the requirements for AV planning, design, accommodation, and equipment layout. The standard will be published in 2019. To learn more and purchase the Rack Building for Audiovisual Systems standard, visit www.avixa.org/AVrackbuilding. This standard is free to AVIXA Premium and Elite members.